Today is starting with Quilt #1 from the stash by my wife Tanya. She is trying to get rid of some of the back log of flannel we bought on sell before Christmas last year and over the last week and half I have been cutting and she has been sewing. I know that so far there is at least 5 quilts made from them. On yesterdays post she asked you to guess how many quilts total do you think she will make out of my cut pile of flannel check out yesterday's post to make a guess. The flannel rag quilt looks super soft & cozy! Thanks for featuring my block from last week & thanks for hosting! 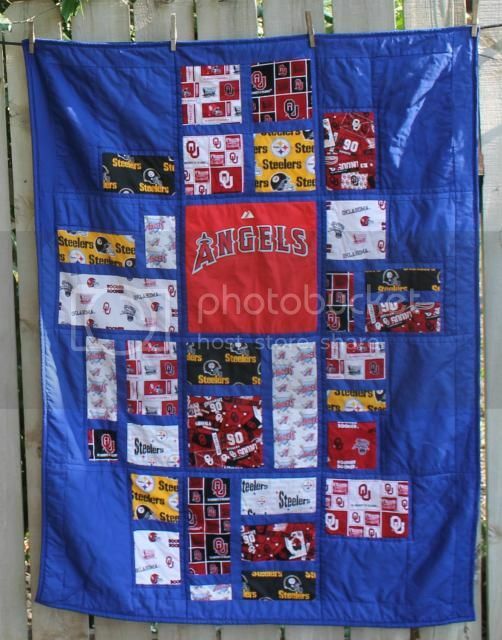 I love the flannel rag quilt! I'm going to have to try one of those. 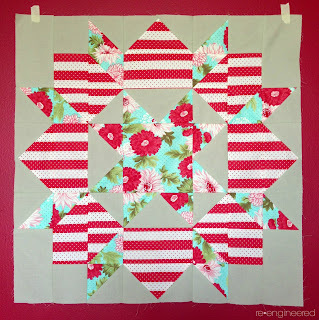 Love that pinwheel quilt too. 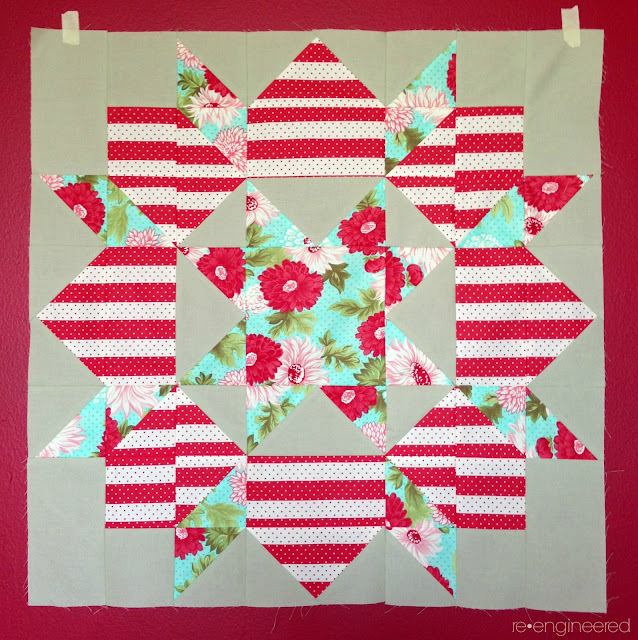 Also don't think the swoon block looks like a fail. :) Anyways, I posted the tutorial for the 1st Spool-Along block. I hope you'll join me for the Spool-Along. Thanks Richard and Tanya! Great pics, the flannel looks so cozy. I haven't really worked with that before. 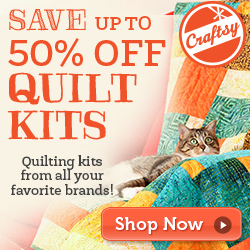 Seems great for the rag quilt. Hey, way to go getting through that flannel stash, you guys! My hand cramped just thinking of all the snipping involved. ;D umm. . . guess at . . . 11 quilts?